We spoke to Suzanne Roos CPsychol AFBPsS, Consultant Psychologist & Head of Psychological Therapies with NHS Orkney. What’s particularly interesting about this job? It is an exciting, new job which will introduce a new psychology service to older adults (generally aged 65+ years), aimed at tier 3 &4 populations. The post will be hard work, but really stimulating, especially as it will involve all aspects of delivering a psychology service for older adults. For example, delivering assessments and treatment to a range of patient groups; as well as delivering training to range of multi-disciplinary team colleagues, advising colleagues on clinical governance issues and working closely with NHS Education for Scotland. The successful candidate will be joining NHS Orkney at a time when we are building our state of the art new Hospital. Opportunities to develop in a number of areas, depending on your interests and skills, including neuropsychology are available. NHS Orkney has a number of Service Level Agreements with other Health Boards and opportunities to spend time working with NHS Grampian or other health boards may also help you develop your skills. For some staff, living in Orkney permanently may not an option and they have opted for a two-week time on island and two-week off island or annualised hours. Our ability to offer flexibility makes NHS Orkney an attractive employer. We can and will work with you to meet your needs. Interested? Why not get in touch? What kind of personal qualities are you looking for? We are looking for a hard working, reliable, mature and enthusiastic individual, who is keen to develop a new older adults service and willing to provide sessional input into the existing Adult Mental Health (AMH) Orkney-wide Psychological Therapies Service. We are also looking for someone who will work well in a multi-disciplinary team context and liaise well with members of other disciplines, especially GPs and colleagues in primary care and the voluntary sector. The successful candidate will be resilient and have a firm belief in his/her own autonomy, but will also have a sense of when it is necessary to seek consultation and ask for supervision/management support appropriately. Flexibility and ability to adjust to different circumstances are essential. It seems important to you that the successful candidate develops themselves as an ‘Applied Psychologist’ rather than an exclusive focus on one domain? This post require a broad spectrum of clinical skills, because when working in a remote and rural area, one has fewer options in terms of onward referrals, so it is important to find someone who will strive to find the balance between generalist and specialist roles and will aim to utilise support from mainland colleagues in urban Tier 4 services when necessary. Can you see yourself in one of these new roles? Please get in touch. Does working in Orkney bring any particular challenges, rewards etc? Delivering psychology in a remote and rural faces some specific challenges in addition to universal challenges faces by any psychologist in Scotland. These challenges are: (1) geography, (2) professional isolation and (3) working and living in a small community. With regards to geography, Orkney is an archipelago of over 70 beautiful islands, 17 of which are inhabited; Orkney lies off the northern coast of Scotland, between John O’Groats and the Shetland Isles. The total population is approximately 22,000 with most people living on the Mainland. Living in a geographically sparse landscape creates a challenge for developing an equitable psychology service for people who may live on different islands to where the psychology service is based. In the winter months, travelling by boat or plane can also be difficult. A solution to this is to look at more creative ways to deliver services such as using technology. NHS Orkney has a good track record in digital innovation. We use video-conferencing and teleconferencing technology routinely to reduce travel time. Psycho-educational Stress Control classes, Survive and Thrive courses and computerised cognitive-behavioural therapy (cCBT) have also been made widely available across Orkney. Professional isolation can be an issue when working in a remote and rural area, especially with fewer peers to discuss complex cases. NHS Orkney realises the importance of linking with colleagues from other services and has therefore robust professional support and supervision arrangements in place. Video-conferencing and teleconferencing technology are used routinely supervision, both clinically and managerially, which has been helpful at reducing professional isolation. Working in a multi-disciplinary team has also been helpful to reduce isolation and has ensured shared responsibility for clinical decision-making and risk management. We receive great support from agencies elsewhere in the UK, who understand the special needs a rural location can have. A personal challenge when working and living in a small community is that one has to accept that small communities know things about each other and there is less anonymity, for both staff and patients, than in a large health-board area. A solution to this is to be clear from the start of therapy about the bounds of confidentiality. It may also help to have open and honest discussions about how to handle situations where one might see each other outside the therapeutic relationship. The challenges around the geography, professional isolation and working and living in a small community are unique to remote and rural services, but with the use of technology and close networking with surrounding services, it is possible to give patients in remote and rural areas the quality of services that are required and meet local delivery targets. There are also many benefits to living and working in a remote and rural area. 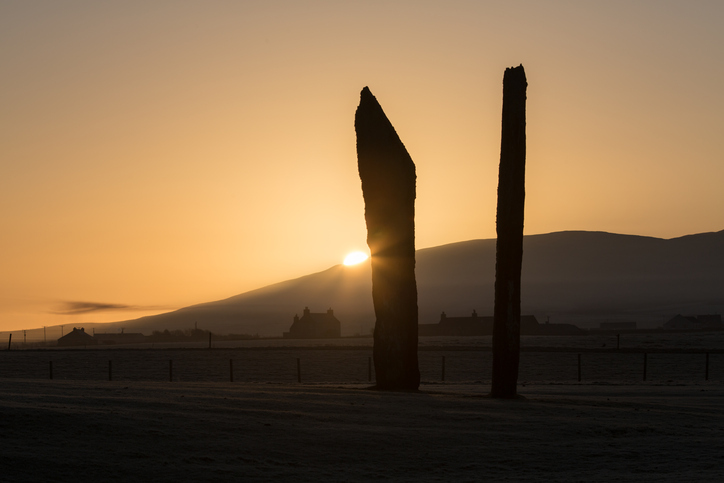 Orkney is a wonderful place to live and work and is often voted the happiest place to live in the UK. Orkney also offers: low pollution, low crime, excellent schools, good leisure facilities, unique wildlife and amazing scenery. Orkney has a rich culture with strong community connections. The community spirit is amazing. There is so much for children and adults – theatre, music, drama. Schools in Kirkwall are very good (no private fees). Imagine all of these within walking distance of your home and workplace. And for adults and visiting relatives and friends there is so much to see and do, playing a round of golf, fishing, kayaking, walking, cycling, diving, windsurfing are but a few. - Find out more in our April edition and via the Jobs in Psychology website.